With drawbridges, castle moats, marching tin soldiers, fog, ravens, shooting stars, and a truly mesmerizing Mouse King, along with a mysterious godfather scientist wearing an eye patch, there is plenty to interest viewers of all ages. 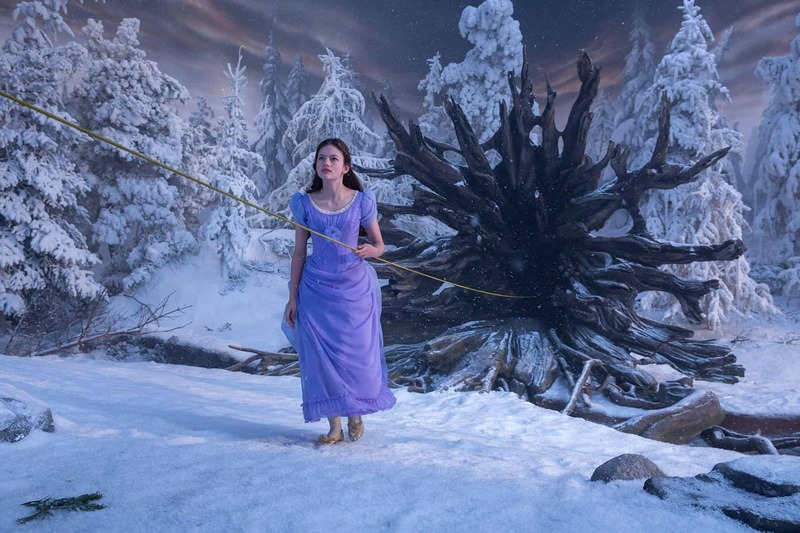 Disney Studios has given us an outsized retelling of a classic fairy tale, but the film redeems itself with considerable assistance from an international cast and its special effects, visual effects and art departments. The idea for The Nutcracker film was suggested by an E.T.A. Hoffmann short story, “The Nutcracker and the Mouse King” in 1816. His multi-layered story was lightened and made popular in an adaptation by Alexandre Dumas in 1844. Ashleigh Powell wrote the screenplay. Lasse Hallstrom and Joe Johnston directed. In the 19th century Ivan Vsevolozhsky and Marius Petipa adapted Hoffmann’s story for the ballet. According to the New York Times (2015), the Dumas adaptation heavily influenced the Russian ballet of “The Nutcracker.” Pyotr Ilyich Tchaikovsky wrote the music. Marius Petipa and Lev Ivanov designed the dances. The ballet was performed for the first time at a theatre in St. Petersburg, Russia in 1892. Many other versions of the Nutcracker ballet have been created and performed since then. For those who never saw the ballet or heard Tchaikovsky’s music, and there are a few, the story revolves around the Stahlbaum family. According to the Disney script, the town mayor Stahlbaum (Matthew Macfadyen) and his three children are grieving over the death of Mrs. Stahlbaum. Of the three children, young Clara (Mackenzie Foy) is most like her late mother – clever, inventive and multi-faceted. And it is to her that the late Marie Stahlbaum (lovely cameo by Anna Madeley) leaves a mysterious silver egg with a pin tumbler lock but without a key. They journey to her godfather’s home, by horsedrawn carriage in the snow, for a grand Christmas celebration. While dancing and dinner take place on the main floor of the mansion, Clara goes below stairs to seek out her godfather, Mr. Drosselmeyer (Morgan Freeman), an inventor and her mother’s mentor. Following Marie Stahlbaum’s wishes, Drosselmeyer does not tell Clara how to open the silver egg. Reclaiming the key is a journey she must discover for herself. And so it begins, at times a breathtaking adventure into another realm for Clara as she enters the Christmas forest, an alternative world with a very different sense of time and reality. Her first encounter is with a Nutcracker soldier guarding the gate to the infamous fourth realm, splendidly played by Jayden Forora-Knight. Helen Mirren does a star turn as Mother Ginger, feared leader of this realm. Special effects gives us a truly unforgettable Mouse King, also in this realm. When Clara and the soldier captain Phillip (Forora-Knight) escape to the other three realms, they are greeted by the Sugar Plum fairy (Keira Knightley), full of nurturing and concern in the realms of sugar, snowflakes and flowers. “Have you come to save us, Clara?” Keira’s performance is wonderfully over the top, reminding one of Anjelica Huston as the delicious stepmother baroness Rodmilla in Ever After (1998). And the key, the elusive key that Clara continues to seek? It changes hands, and paws, often enough to keep the physical action flowing through forests, snowfalls, waterwheels, steep cliffs and castle rooms. Clara is persistent and inventive, like her mother Marie, and will not stop until she has the key to open the last present she ever received from her mother. And the ballet? Oh, O.K., prima ballerina Misty Copeland dances magnificently in two sequences, which transfix the audience. If only there had been more. Well, the soundtrack is much too loud, and the character of young Clara could have been written with more depth. She looks pretty when petulant, and seems lost in grief for her mother, but not much more. The character is best during her interaction with captain Philip (who is a substitute for a prince in this rewriting). Watching Clara come of age as she encounters true danger in the land of the four realms, guided only by a power animal sent by her godfather and her mother’s spiritual presence, does call to mind the young Meg Murray character played by Storm Reid in “A Wrinkle in Time.” Both are positive role models for preteens. With drawbridges, castle moats, marching tin soldiers, fog, ravens, shooting stars, and a truly mesmerizing Mouse King, along with a mysterious godfather scientist wearing an eye patch, there is plenty to interest viewers of all ages. Perfect for holiday viewing.